Lexington Creek Elementary School in Missouri City opens its playground and sporting facilities to the public after hours. 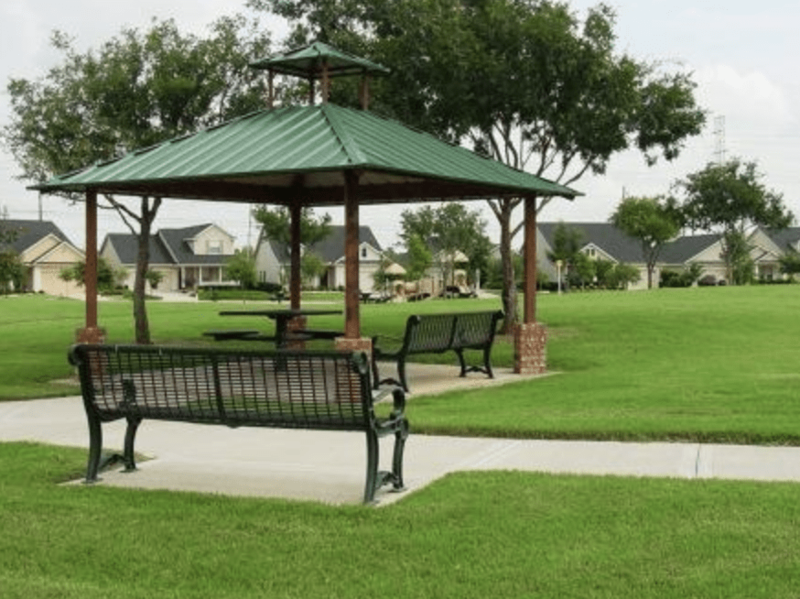 Lexington Creek Park is a popular place for children and teenagers to play sports and games in a safe environment. It is located in the heart of Plantation Colony on Dulles Avenue. For sports enthusiasts, the park offers a basketball court with two goals, as well as a covered basketball pavilion that could double as a shaded space to host a small birthday party. Those who want to improve their batting skills can practice at one of the two baseball backstops. The park also features two soccer goals for kick practice. The soccer field is large enough to host a friendly pickup game. A circular track surrounds the soccer field and backstops, and provides a level surface for running, walking, or jogging. Children have ample space to run and play on the park’s two playgrounds. Kids can climb and slide on the play equipment, or swing to the skies on the swing sets. Hopscotch and foursquare round out the children’s activities. Parents can watch their children play from one of the park’s benches facing the playground. The park has 43 paved parking spaces to accommodate fairly large groups. The entire park spans three acres and has picnic tables suitable for a weekend outdoor lunch. Lexington Creek Elementary School maintains a butterfly garden just outside of the park, so stay on the lookout for migrating butterflies. Lexington Creek Park is closed to the public until 5:30 p.m. when school is in sessions so that it can host the Fort Bend I.S.D. Extended Day program. Otherwise, the park is open until 10 p.m. and features security lighting for nighttime visitors. It is most popular on weekends and holidays.